I’m digging the lace-up thing going on. A little bit 70s, a whole lot of 90s. It also happens to be one of those concepts that’s real easy to replicate. You don’t necessarily need an eyelet setter… trust me! 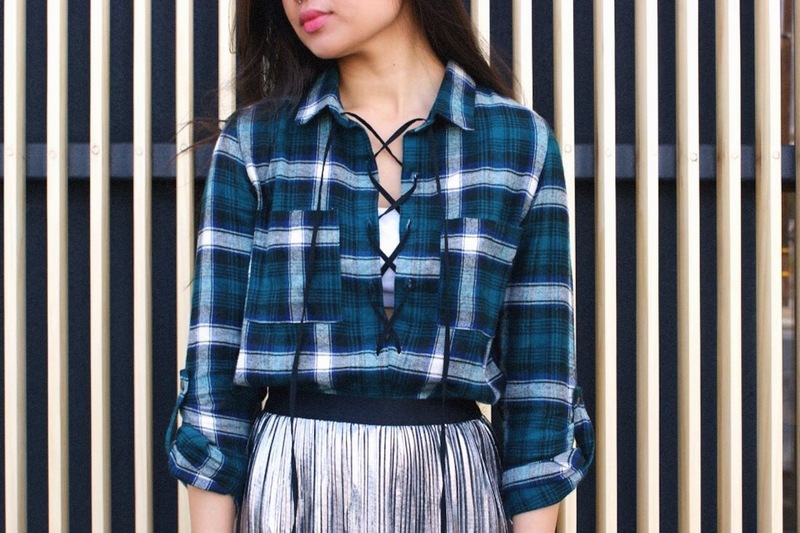 Here’s the low-down on how to transform your average plaid shirt into a little lace-up number. 1. 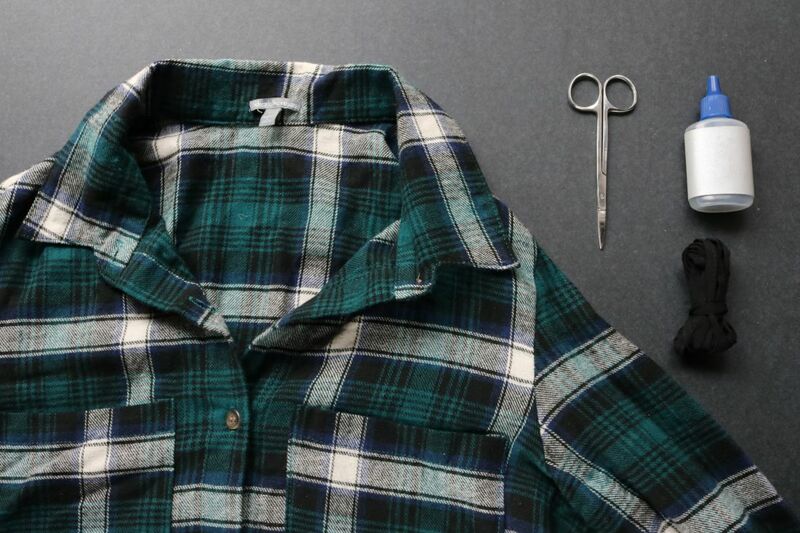 Using the scissors, carefully snip away 1/2 – 3/4 of the buttons on one side. 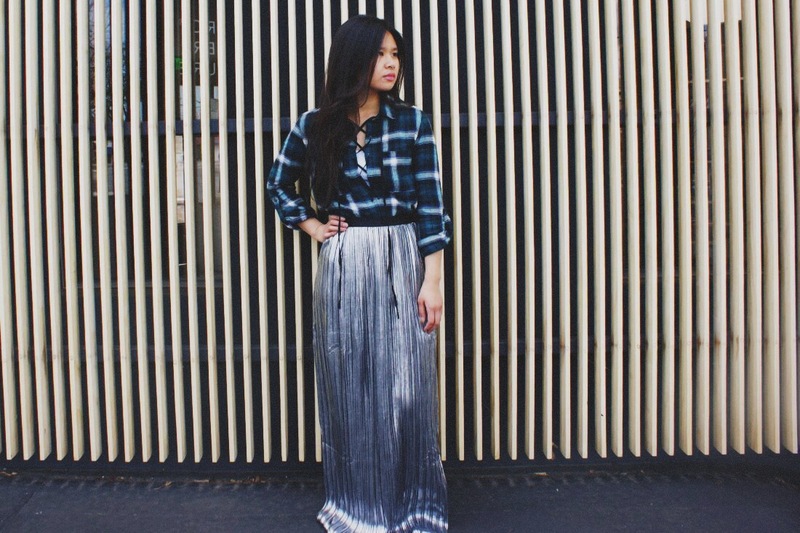 This will allow you to button up the bottom half, letting the lace-up detail stand out. 2. 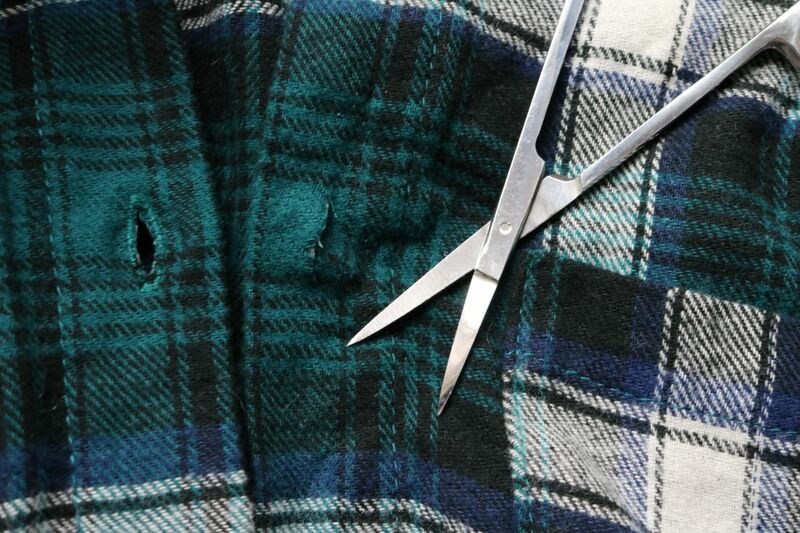 Snip away a few of the more prominent frayed threads. 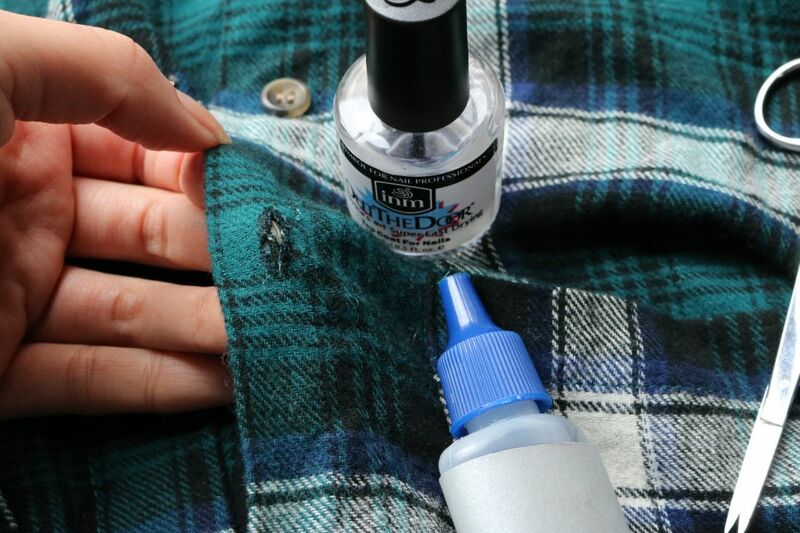 Add a few dabs of liquid seam sealant or clear nail polish. Start off with just a little bit to ensure that the liquid doesn’t discolor the fabric. 3. 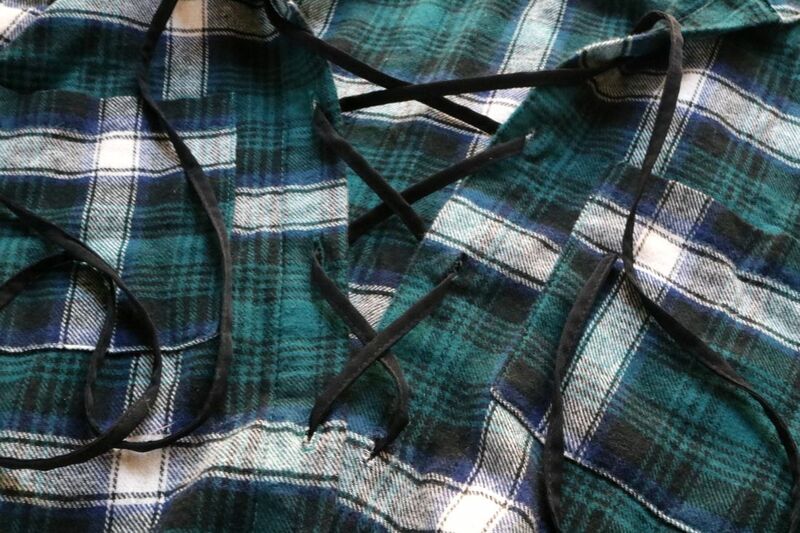 Weave the cord through the holes, criss-crossing in between each set of buttons. It’s pretty similar to lacing up sneakers. Now, I think I need to find a denim button down for some leather cord lovin’.